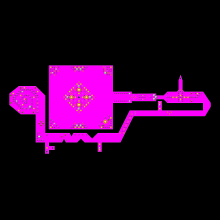 Make your way through the deadly Pink Puzzle Palace and collect all 50 Crystals. Friend and foe await you along the way. Are your reflexes good enough to escape?